You control who has access to keys, when keys can be used, and for what purpose. For example give the plumber or handyman access to only one key during specific hours. With Key Reservations, authorized users can even reserve a key in the system for a specified timeframe. It's a convenient and easy way to guarantee access when a key is needed. Know who was last responsible for the key. Dramatically reduce liabilities for theft and possibly reduce your plan insurance premiums. 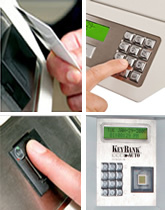 With our key control system, you can restrict access to keys, allowing only authorized personnel to access certain keys. Devices such as radios, cell phones, hand-held computers, etc., that are used by different personnel through the course of any given day are also both expensive and represent potential security breaches if stolen or misplaced. Configurable locker systems, easily added to an existing key control cabinet, provide the ideal solution for securely storing these items. 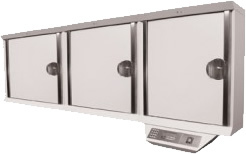 The cabinet is built using stainless steel to resist abuse and is wired to alarm against tampering. The alarm and can also be wired to other sounding devices throughout the facility in case of an incident. Alarms can also be sent automatically via email to designated managers. 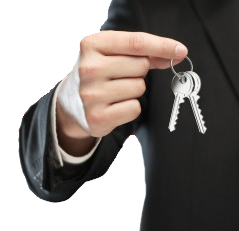 "I would recommend the Key Watcher System to any multi unit or real estate management company. It's great because my employees or even the plumber can get key access without me being there. I know exactly who took out the key and for how long. I love being able to monitor this on the go. It's a complete time saver because I don't have to micro-manage the keys, I can just rely on the system to do the work for me!" The key management software can run activity reports based on different criteria. View and print reports like: All Keys In Use, All Keys Overdue, Employee Key History Use, and more. Check the status and location of keys in Real Time to know who has accessed which keys, at which time, and for what purpose. Traces each key movement by date, time, and user code. and single and dual lockers for laptops, phones, etc. visual identifying. Access keys in less than 4 seconds. It's easy to expand KeyWatcher as your needs grow. 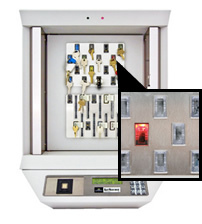 Start with a single key management system or configure KeyWatcher with multiple cabinets to hold hundreds of keys. temporarily leave the site can return the key to the closest key cabinet for safe keeping and retrieve it when they return. 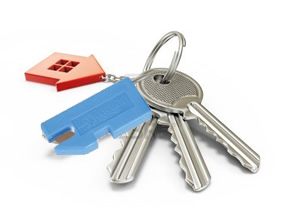 When a company vehicle is moved from one building location to another, either temporarily or permanently, the keys can be returned to the key cabinet in that location. The system will record the location and time so anyone looking for those keys will know where they are currently located.